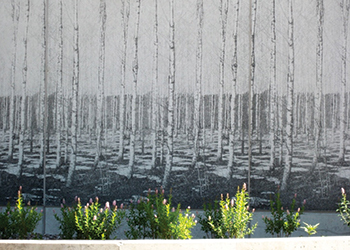 Using this technology, customised patterns and images can be produced while allowing modern architectural features to be printed on concrete surfaces. “Many buildings in the Gulf and India are painted and need regular maintenance to preserve their appearance whereas surfaces treated with graphic concrete technology don’t need paint and hence don’t require such maintenance,” says Faizal Kottikollon, founder and chairman of KEF Holdings. 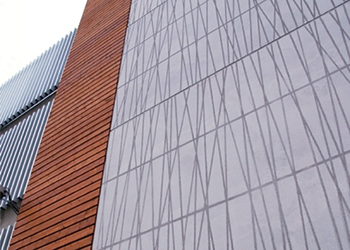 Graphic concrete technology enables the etching of patterns, text, and even pictures or photographs into the building surface, he says. The technology involves using a surface retarding agent which stops the cement matrix from maturing in the area where it is applied. “The effect is visible once the finished product is washed down with a pressure washer and the non-cured particles are removed,” Kottikollon points out. He says this kind of surface alteration is permanent and does not deteriorate over time. The technology can also be applied to pigmented concrete in various colours and shades. “Previously only so-called formliners were used to alter the outer appearance of precast surfaces but with the invention of graphic alteration, an almost limitless portfolio of possibilities is available at a reasonable cost,” he says. KEF Holdings is poised to complete an eight-storey residential development in the region which makes substantial use of graphic concrete applications. “This project has been visited by many architects, clients and developers, many of whom have expressed their desire to implement the technology into their future projects,” Kottikollon remarks. Meanwhile, another project, which is a private development, has applied graphic concrete in the form of large, highly visible engraved pictures of an influential yoga personality, he adds. KEF Holdings partnered with Elematic group, a leading supplier of precast technology and services from Finland, in 2013 to introduce graphical concrete to the UAE and India. Incorporated in Singapore and headquartered in Dubai International Financial City (DIFC), Dubai, the UAE, KEF Holdings operates in six segments: infrastructure, healthcare, agriculture, education, metals and investments. Its industrial forte lies in its ability to deliver cutting-edge offsite construction technology and solutions, including precast, prefabricated bathrooms, joinery and aluminium glazing. Kottikollon says KEF Holdings’ technology enables it to cater for construction of multi-storey buildings and single units. 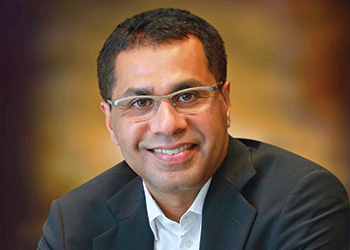 “India’s demand for quality construction is substantial and, therefore, we have dedicated equal shares of our capacity to contribute to the different market segments,” he says. KEF Holdings’ offsite manufacturing (including precast) facilities are located in Krishnagiri, Tamil Nadu, India, where it produces different precast elements like columns, beams, hollowcore slabs in various heights, stairs and solid walls and even double walls. “This technology enables us not only to reduce the time needed to construct basements and retaining structures by more than 50 per cent but also improve quality substantially due to our technology and highly skilled engineering workforce,” says Kottikollon. Graphic concrete technology ... innovative. KEF Holdings has deployed cutting-edge technology and machinery, imported from some of the leaders in precast manufacturing, such as those from Scandinavia and Western Europe. The company is planning to build three industrial parks in India over the next five years, says Kottikollon. “Our first park is due for completion in early November and we already see the need for a substantial extension in this very location. Studies are under way to identify possible locations for our future industrial developments,” he says. As a total solution provider for buildings of any kind, the company sees the need for its technology in many markets outside India. To cater to the GCC’s growing demand for modular construction options for both residential and healthcare units, Kottikollon says plans are in place to launch a modular construction facility in Jebel Ali, Dubai, in early 2016. Earlier this year, KEF entered into a partnership with Tahpi, an Australian specialist in hospital design, to launch the Hospitals in Catalogue concept that aims to revolutionise healthcare infrastructure. Endorsing an ‘assemble rather than build’ approach, the concept has been designed to reduce project costs and the timeframe of implementation by almost 50 per cent – achieved largely on the back of innovative industrial technology, automation and economies of scale. Under the partnership, a KEF-Tahpi Design Studio has been set up at the Dubai Healthcare City (DHCC) in Dubai for designing the prefabricated hospital modules that will be manufactured at the $350-million KEF Industrial Park in Krishnagiri, India.